Phenylalanine is an amino acid used to make proteins and brain chemicals including dopamine, adrenaline and thyroid hormones. Since our bodies cannot manufacture phenylalanine, we must obtain it in food. Phenylalanine is found in most foods that contain protein and also in the artificial sweetener aspartame. The recommended dosage roughly 1,000 mg for the average adult. Deficiencies are uncommon. A rare metabolic disorder called phenylketonuria, or PKU, occurs in people who cannot metabolize phenylalanine and can lead to irreversible mental retardation. 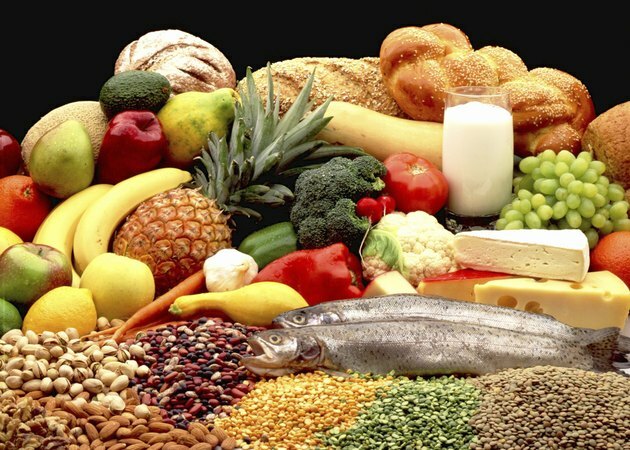 People with PKU must eat a diet that avoids phenylalanine. Most fish has high amounts of phenylalanine, in some cases nearly 1,000 mg/100g, which is an entire day's requirement. This includes cod, crab, lobsters, mussels, oysters, tuna, salmon and sardines. 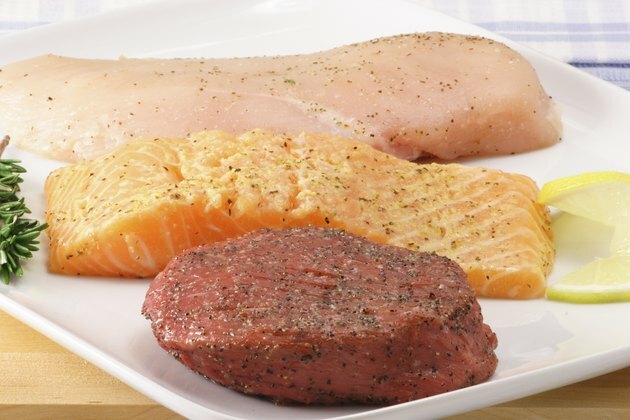 Meat, being a high-protein food, is also high in phenylalanine, in many cases containing more phenylalanine per serving than fish. Bacon, beef, turkey, liver, chicken and gelatin all contain over 1 gram of phenylalanine per 3 ounce serving. Many milk products are high in phenylalanine. 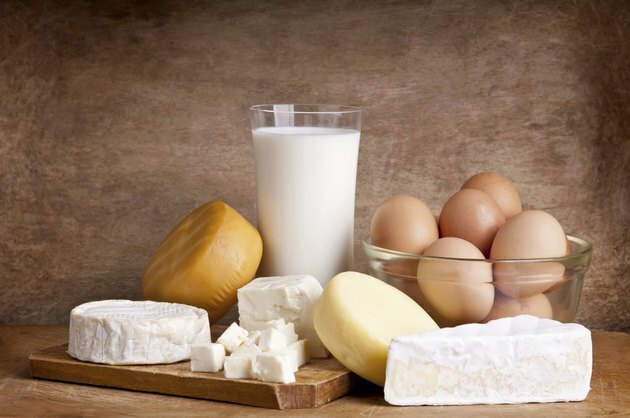 Cheese and milk, in particular, contain over 1,000 mg/serving. Cream and cream cheese, which are higher in fat and lower in protein, contain lesser amounts, but still in excess of 100mg. An egg contains over 500 mg phenylalanine. 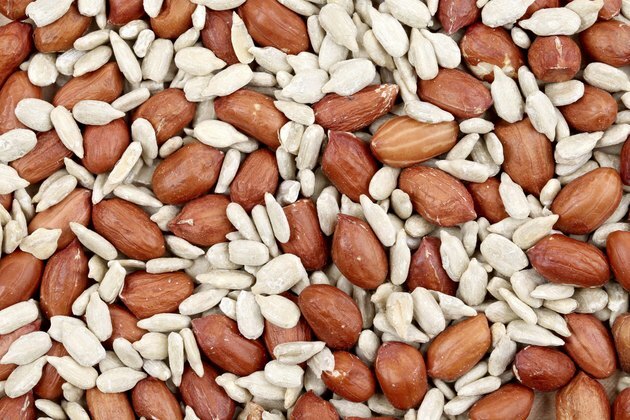 Most nuts are high in protein, of which a significant amount is derived from phenylalanine. Five walnuts contains 540 mg, 10 almonds contains 980 mg, and 30 roasted peanuts contains 1,400 mg. Peanut butter contains over 1,000 mg for almost an ounce. Of the beans, chickpeas and lentils contain the most phenylalanine, roughly 400 mg/serving. Soy products, including soy protein isolate, soybean flour and tofu, are also good sources. 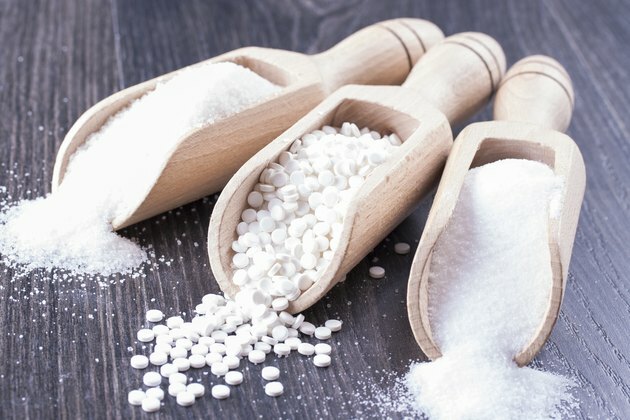 According to the Aspartame Information Center, the artificial sweetener aspartame is found in more than 6,000 products, including carbonated soft drinks, chewing gum, yogurt, gelatin and cough drops, in addition to some pharmaceutical drugs including Alka-Seltzer and Benadryl. Aspartame is half phenylalanine, by weight. One 36 mg packet therefore contains 18 mg phenylalanine. A sugar-free soft drink has the equivalent of five packets, which equals 90 mg phenylalanine, or the amount present in a serving of cream cheese.